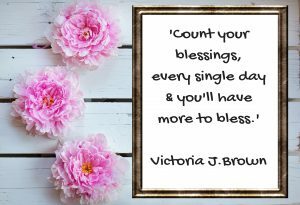 Do you feel you need help counting your blessings? Do you wish to be more grateful and appreciate life? But often feel you’re not sure what you have to be grateful for? 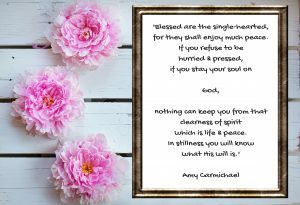 Below I’ve listed some awesome products that can help you, but before you look through them, why not try out the self-reflective therapeutic creative writing exercise, that will help you understand how blessed you truly are. When we have challenges in our lives, it can be difficult to look for the good. We feel as if everything we touch, say or do just isn’t right. If you know anything about the Law of Attraction, you’ll understand the more you feel these things the more upheaval and unhappiness you are attracting. So the best way to deal with any negativity is to look for the positive. Once you look for the positive, and there will be something positive about any challenge you are facing (a lesson learnt, a different path taken … you will find something if you look deep enough), you can turn anything around to be grateful for it occurring. Once you feel this gratitude, you will feel blessed. Writing a gratitude list can really help with counting your blessings, don’t forget to have a go at the self-reflective therapeutic writing exercise, this will help you immensely. As promised, here are some of my favourite products, to help you on this awesome journey of life blessings. Many adults often struggle with looking at life with an abundance of gratitude. If you are one of those adults, and you have children, you are influencing their attitude to life more than you probably realise. You are instilling an ungratefulness within them, a learned behaviour that needs to be unlearned so they can live a life of happiness and joy. Teaching them from a young age is a great way to instil positive thinking. Looking for the positive and being thankful for being, will help them lead a calmer life. Facing challenges head-on and looking for the lessons to be learnt, they will live a fuller life. This book is amazing at teaching your children the importance of gratitude. This book is full of rituals that will help cleanse your home and body. It’s a great way to bring some positivity into your life. Get rid of any negative energies. I love crystals. Different crystals can heal specific areas of your life. You may feel you need a certain area of your life to be healed; health, career, home, relationships etc. This book is excellent for helping you bring energy back into that particular area, it not only shows which crystals can help with the blessing of that area, but it offers exercises for 30 earth blessed crystals. You don’t need to be a crystal expert either, this book can help you if you are interested in knowing more about crystal healing. If you’ve read my other posts, you’ll know I’m a huge fan of Doreen Virtue. 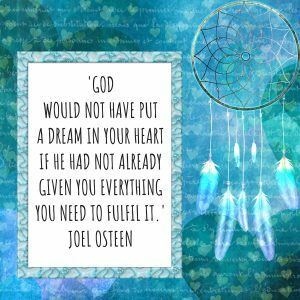 Doreen Virtue is amazing. Every book, cards, videos etc. she produces is simply inspiring. Her heart and soul goes into all her guidance material. These cards help us to appreciate daily blessings. This small blessings jar is simply gorgeous. If you’ve read through my website, downloaded on downloaded the FREE ‘make your own inspirational box’ from my website, you’ll totally understand why I love this. This beautiful ceramic jar comes with 10 kraft paper hearts where you write down what you are grateful for. That would be my only criticism of this product, is that I wish it came with more paper hearts … but the good thing is, you can make your own. You can simply cut out hearts from any kind of paper (colourful, textured or patterned) and make your own beautiful blessed hearts. This is one of those fabulous inspiring products that brings a great start to your day. Again, just like the above jar of blessings, I can’t recommend these two products enough. The above is available in the UK. The below in the US. 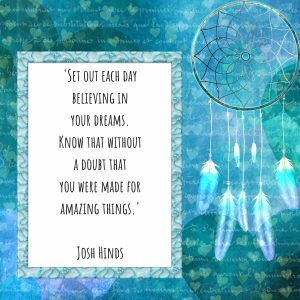 If you’ve already downloaded the free inspirational quotes guide, which will help you make your own inspirational jar, you’ll understand why I absolutely adore these products. They are both great to give that little bit of a blessed boost to your day. They will help steer negative thoughts into positive thoughts. They are both awesome gifts for yourself or for someone who needs a little bit of positivity and encouragement on feeling blessed. I absolutely love incense. They are one of my favourite quick-fixes to ensuring my home offers a clean and fresh aroma. Incense is used for relaxation purposes in therapy and meditation. It is an aromatic biotic material that releases fragrant smoke when burned. They most definitely have a calming effect that flows throughout my home. I have some preferred incense scents, but my favourite is Jasmine. However, this box of incense releases a nice scent that helps a home feel blessed. Any kit that will bring happiness and peace to my home, I’m there … you should be too. If you feel your home is lacking ‘something’, you’re not sure what, (it could be happiness, peace, positivity) these kits will help to give your space a refresh of positivity that you need. Sage smudging is a traditional, spiritual way to eradicate negative energies. Scientific research actually shows that sage clears bacteria out of the air. This is a great way to give yourself and your home a spiritual clean. How can this beautiful blessing paperweight not be adored? Although it is quite small, the stunning swirls of gold are deliciously divine. The way the light catches and the patterns interlink, this is a perfect tool to use to count your blessings. A reminder of all the things we have to be grateful for. I’m a sign collector … yes, I realise that might sound extremely ‘geekish’ but I’ll own that one. I love signs. My home is full of vinyl inspirational signs across the walls, pictures shouting out positivity and a range of signs that give a boost of motivation or quirkiness. So I couldn’t help but be drawn to this sign about blessing and happiness. This sign is like a small, but very significant, prayer. A prayer that offers happy and joyful blessings upon one’s home. A perfect gift for your own home or as a thoughtful gift for a friend. 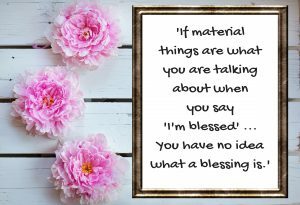 When you are not feeling very blessed, the above products can help you feel the blessings you need. It’s important to keep yourself motivated continuously. Put things in place that help you achieve goals and dreams. When you achieve these things. Count your blessings daily. I encourage everyone to do this by surrounding themselves with positivity. The higher your positive vibrations, the higher your energy levels and the higher your spiritual power, the Law of Attraction will bring you more of the good stuff. Do you feel you need some help in connecting with the angels? Do you find yourself wondering if they even exist? Before you read through my favourite products that have helped me connect with the angels, why not try out the therapeutic creative writing exercise, that will help you connect mindfully and peacefully. Once you start looking out for the signs and making sense of the world we live in, you will feel calmer in knowing that all will be okay. You just have to believe. Once you start truly believing you won’t be scared to ask for help from your angels. They want to help you. They want you to live the best life possible. As promised, here are some of my favourite products, to help you on this amazing joyful journey. I’m a huge fan of Doreen Virtue. She writes her books as if she is talking to you personally, as if the angels are talking to you, she glides through her books with such softness, not only does it make the read easy, but knowing the angels are with us makes sense. 1. Angel Affirmations 2018 Calendar Doreen Virtue’s, Day to Day Calendar gives powerful messages from the angels. I realise that we are halfway through the year, but this still a fab calender. Catch up on the previous affirmations, or read 2/3 a day … Every day you can be inspired and feel energised by reminding yourself that angels surround us always. 2. How to Hear Your Angels , by Doreen Virtue was one of the first books I read about angels. Doreen Virtue gives a detailed account of the Archangels and how we can call for their help at any time. There are great descriptions on which Archangel to call upon for help for whatever situation you are facing. This book shows how the angels can help with any area of our lives and how to ask for their help. This is another book I keep close, for wherever an issue arises that I’m unsure of how to deal with. There is always an angel waiting to help. 3. Angels: How to See, Hear and Feel Your Angels, by Kyle Gray. Another of my favourite authors. Kyle was spiritual from a very young age. He uses his special gift to bring divine love to others. He shows people how to connect with angels in the softest of ways, his kind approach, even within his writing will draw you in. He uses little stories to show how asking for help from the angels works and mini exercises to show you how to connect. If you would prefer to listen to the books you can download Amazon’s Audible Membership here. I love audible. I love listening when I’m driving or when I’m walking. I highly recommend signing up for the membership. I listen to novels and motivational books through audible, there’s something about walking in nature and listening to inspirational words. When it comes to understanding that the angels are always with us, this can be difficult at first, as we rush through life at top speeds that we forget to take two minutes to breathe and remember that, in the words of the wonderful late Louise Hay, ‘All is well.’ So I advise you carry an angel or wear an item that reminds you that the angels are with you, always. It will not only relax you in times of stress, but you will become accustomed to feeling spiritual energies around you, always. One of my favourite angel accessories is my own angel wing pendant. If you’d like a magical pendant of your own, I adore this beautiful Cuoka Silver Jewellery is simply stunning, it’s available in the UK. The stunning diamond wing below is available in the USA. I love Joma Jewellery, (Katie Loxton Jewellery USA) I have a collection of their bracelets. I love their simple but elegant cards that display meanings of each particular bracelet. So when I saw this beautiful angel wing bracelet, yes, you got it, I knew I had to have it. There’s something about having an angel on your wrist that makes you feel as if they are holding your hand. How can you not love these beautiful angel suncatchers? Perfect for your home or car. Keeping yourself inspired can be a hard task when you may sometimes feel like you are treading through treacle. But the angels will definitely help you, when you help yourself, by asking for their help. So it’s important to keep yourself motivated. I encourage everyone to do this by surrounding themselves with positivity. Positive vibes and help from the angels will bring you such joy. The higher your positive vibrations, the higher your energy levels and the higher your spiritual power, the Law of Attraction will bring you more of the good stuff.